Years ago that the return of umbilical cord in the neck of the fetus, also called circular cord, is regarded as a serious complication in pregnancy. 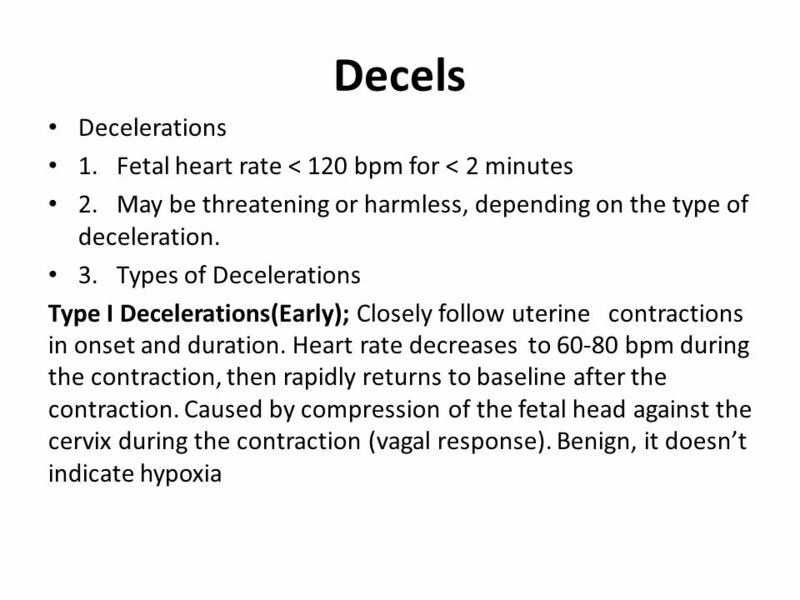 It has often been associated with fetal distress and has even served to provide causality to some complications in childbirth (“ah, of course, is that it had turned lace”) which really depend on other factors. Is for this reason that the question is: is a phenomenon that is as dangerous as we have always said? 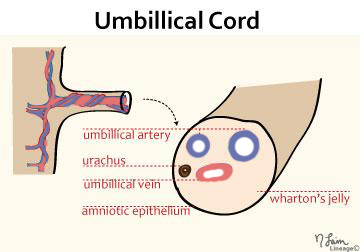 The umbilical cord has an average length of about 55 cm. This means that it has one sufficient length for “bundling” with the fetus. You can roll in any part of the body, especially in the neck, arms, legs or trunk of the fetus. On many occasions the return remains until the time of delivery, but in many other occasions, with some gesture of the baby, the cord unwinds. The reasons of this phenomenon happening tend to be that cord is somewhat longer than usual or have more amniotic fluid and therefore more free space. Although it may seem an unusual event indeed, it is estimated that 30-40% of babies have turned lace. The detection is performed by ultrasound, although it is estimated a large percentage (over 30%) both false positives and false negatives and often not detected until the time of delivery, to see the cord wrapped around the neck. Let us now answer the question: Is it as dangerous as we have always said? 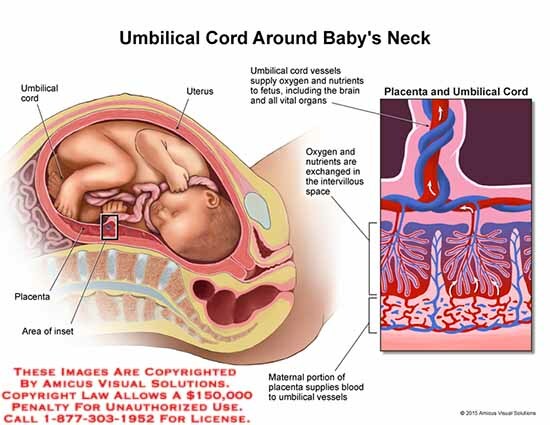 Most times the return of umbilical cord in the neck of the fetus does not generate any problem. The baby may be born via vaginal and the solution around the corner relies on put your finger between neck and lace to undo the circular as the child leaves. It is possible that the cord is taut and return of cord is tight to the neck. The way of acting is exactly the same, release the back at the moment of birth. If in some (rare) occasion this could do, for being too short cord, you can cord clamping and cutting until you finish out the baby. Some problems or fears are often associated during dilatation to the return of cord (“Oh look, had cardiac rhythm disturbance because he brought a return of cord not seen”) that often are given for other reasons as it is the use of oxytocin to accelerate delivery, resulting in more frequent contractions synthetic, longer duration and power that many babies do not tolerate well take the position of lithotomy, which is not the most appropriate to give birth, etc..
On other occasions, if the turn of lace is so tight that pressing the carotid arteries (very, but very tight, which is quite strange) Yes might bradycardias on baby and It would be necessary to assess whether there is fetal distress to choose how to continue with the birth. In any case, the reality is that as you can see what happens inside, many of the actions are carried out by intuition and lace just being the cause (or taking the blame) many situations whose real cause is probably unknown either has been generated by an excess of instrumentalisation in childbirth. (It’s the blame I mean something like teeth when a few months baby is irritable: “will be the teeth” or brother who has just been born when the mayor complains about something: “is jealous of the little”).